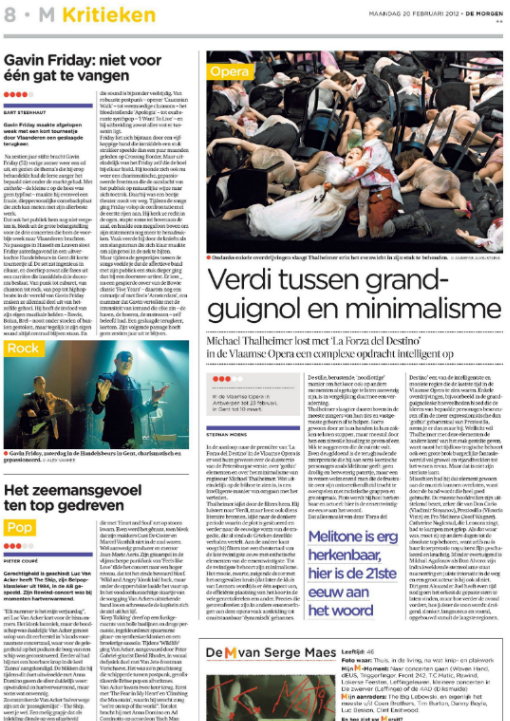 Belgian paper De Standaard puts Friday on the cover of their cultural supplement. 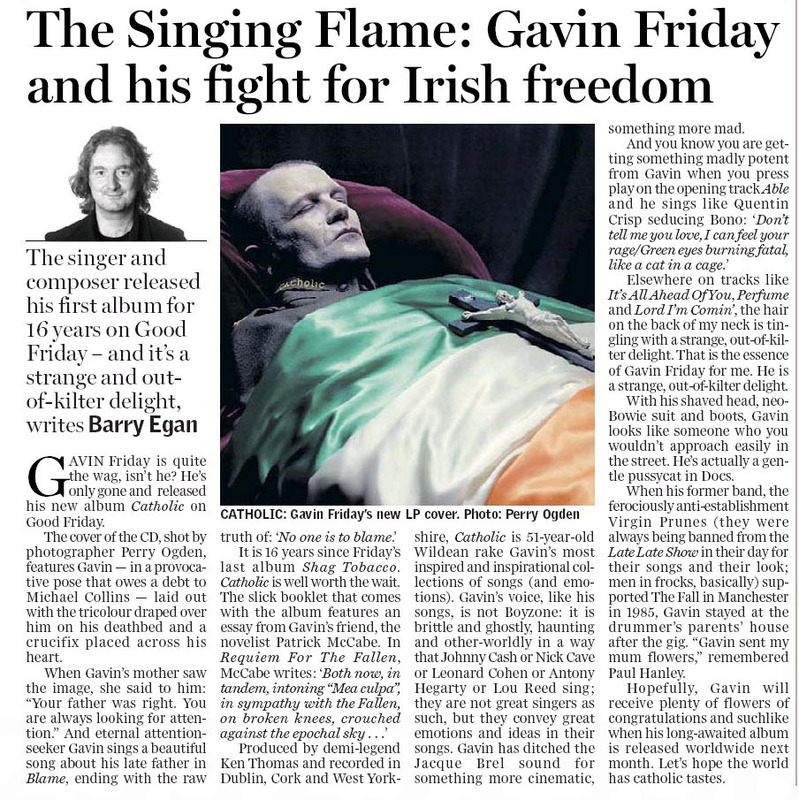 We haven’t got our hands on the actual review yet – hopefully soon. 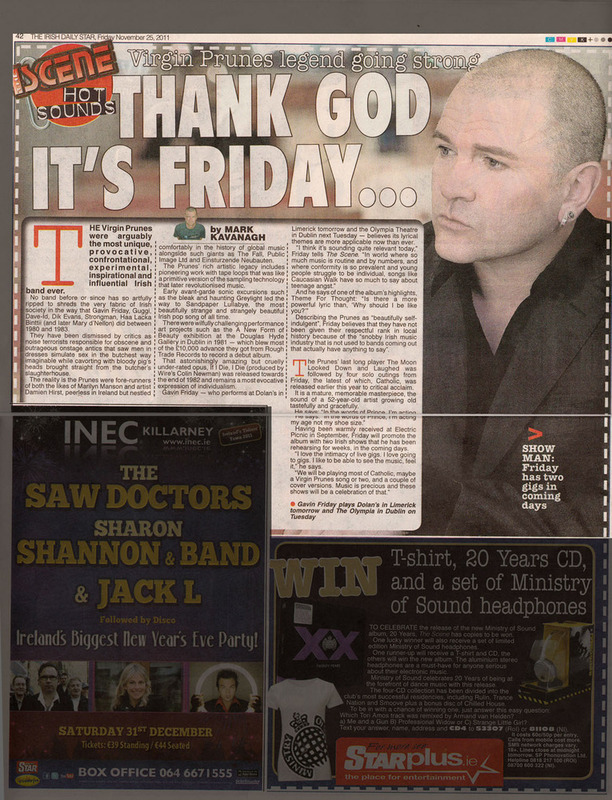 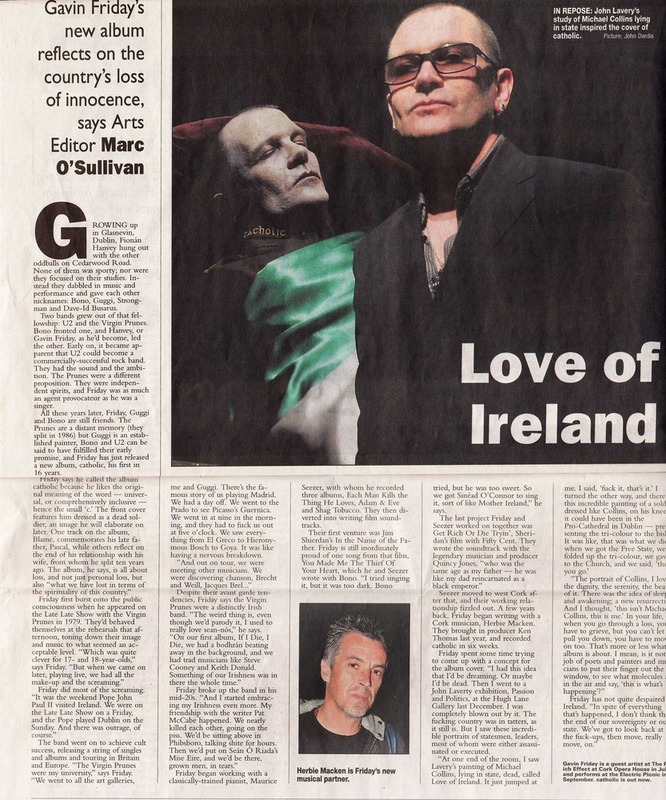 Marc O’Sullivan of the Irish Examiner interviews Gavin Friday. 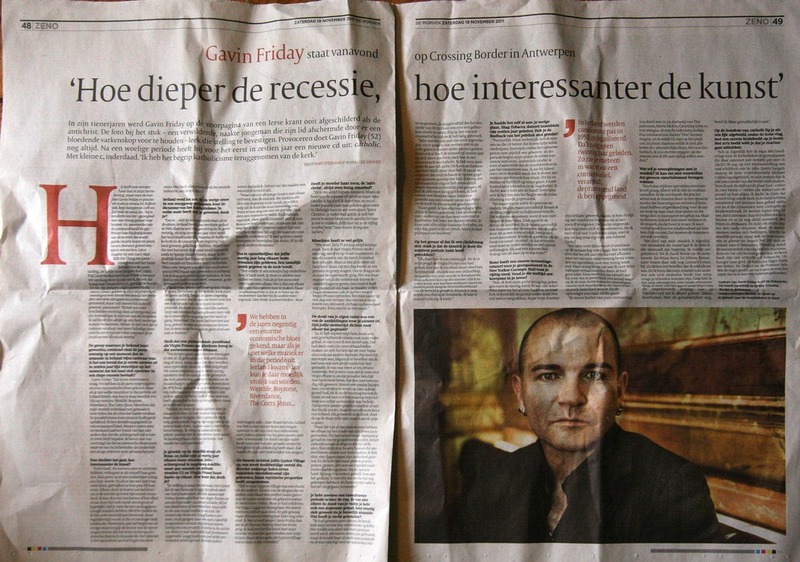 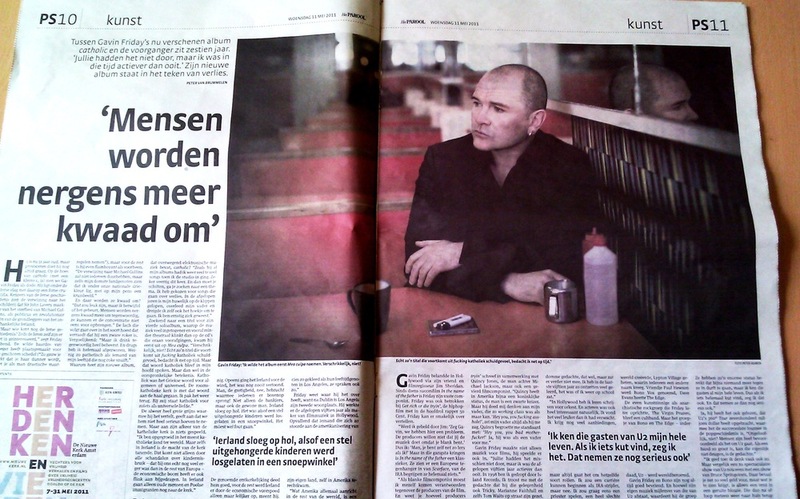 Gijsbert Kramer from Dutch daily De Volkskrant’ talks to Gavin Friday. 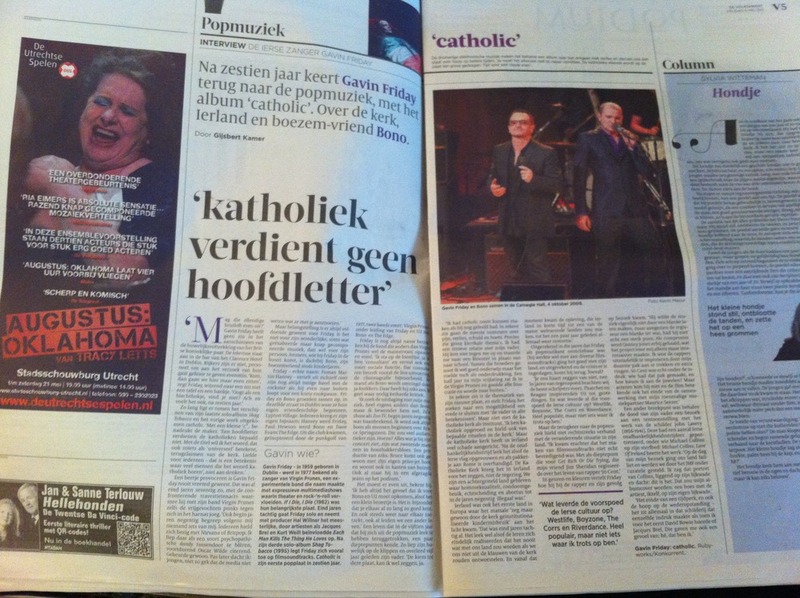 The Sunday Independent’s review of ‘catholic’ is more anecdotal than the average review. 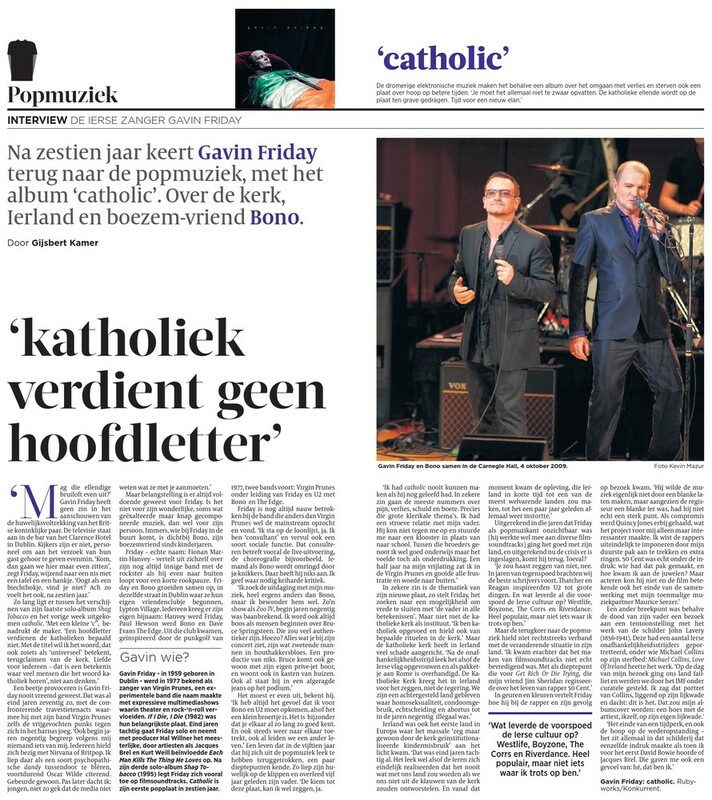 Still, ‘madly potent’, we can live with that.